Seemingly, one of the side benefits of having a baby in Chuo-ku is that you get a free house plant as a gift. We received the application for this a couple of months ago, and I think we ordered something small. 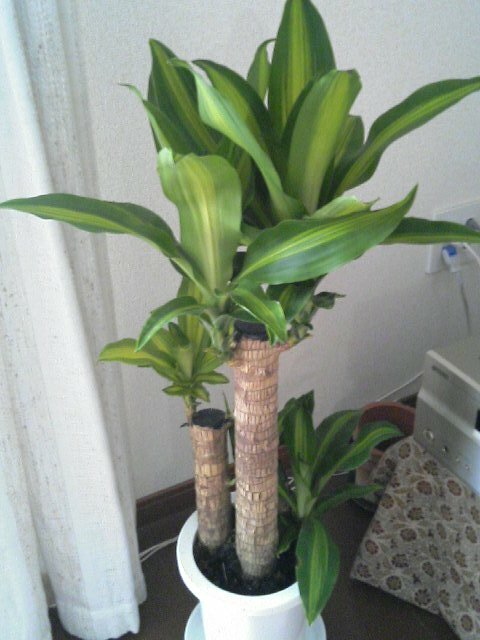 However, the plant arrived today and it was a bit … bigger … than we thought – a Dracaena Massangeana. Anyway, it looks nice in the corner.